NEW DUE DATE for final drafts is Wednesday, December 12! You now have more time to work on your book. Hardcover books: If you have not printed your book yet, wait to get the better paper on Monday, Nov 26. If you have printed the book and experienced smearing, the new paper should work much better. If you have printed without issues please disregard this message. 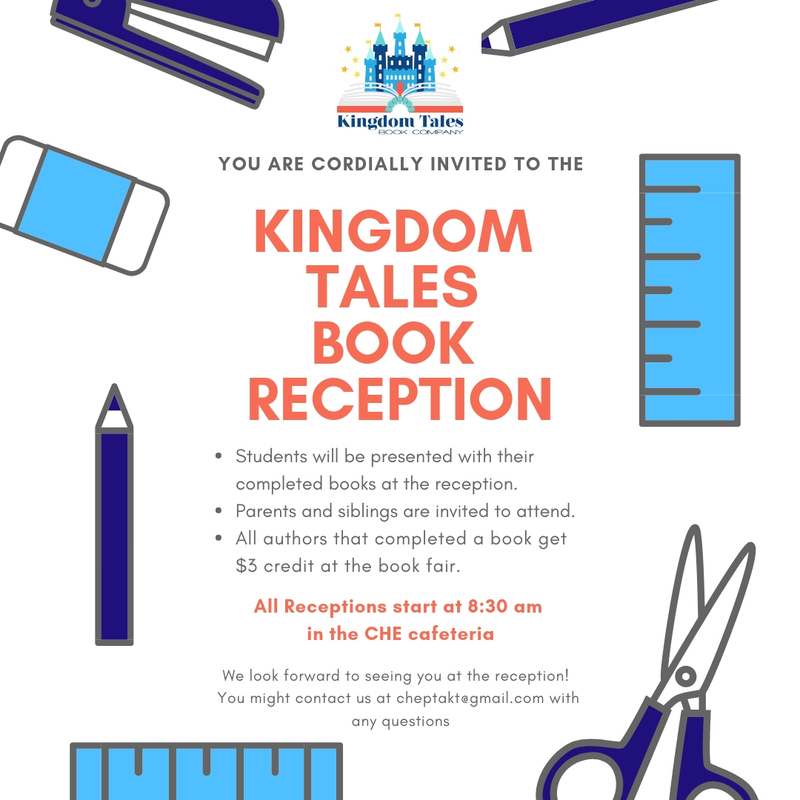 Castle Hills Elementary PTA is proud to bring you our Kingdom Tales program which provides each student the opportunity to accomplish what many only dream of: publishing their very own book! Students exercise their creativity and imagination while further developing reading/writing skills, computer skills, and creative arts. Registration for 2018-19 Kingdom Tales is now closed. Grammar, spelling and punctuation should reflect the level and ability of the author. Killing, violence, arms, intimacy, or foul language will not be allowed. Ninjas and space police are always welcome, but please be mindful of how rough they get. 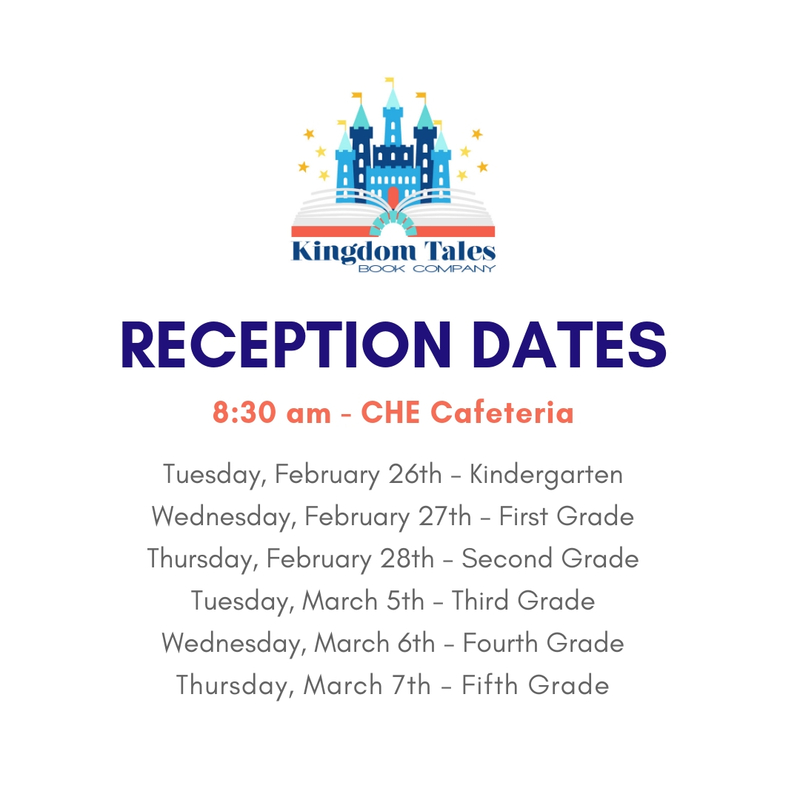 Content and illustrations printed in Kingdom Tales books will be at the discretion of the CHE PTA. Authors are strongly encouraged to submit their work on time! If a due date is missed, the student may not be allowed to continue in the program. And of course, be creative and have fun! Kids will receive their kit: an envelope with pages for them to write and illustrate on, or for them to print their typed story. The kit also contains instructions and an order form for the parent to order additional copies of the book if they would like to do so. Kids return the kits to the school, PTA sends them to our publisher, who will professionally bind all books. Softcover books are bound at school by PTA team. Books are returned by the publisher to the PTA and they are handed to authors the day of the Kingdom Tales Reception. Students will receive their books. Parents and siblings are welcome to come. We look forward to having your child participate!